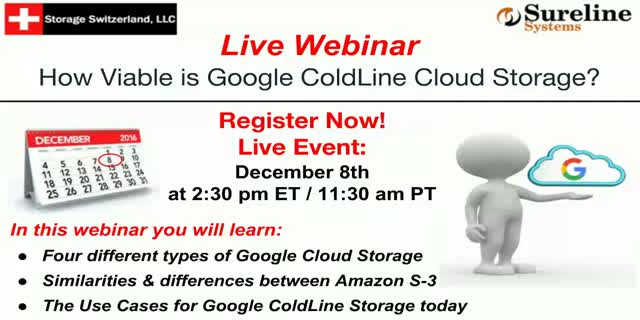 How Viable is Google ColdLine Cloud Storage? Google has recently announced expansion of their cloud storage service. It offers similar service levels as Amazon S-3 and Glacier, but with simplified pricing. How viable is their cloud storage product for the average customer? How do their service levels compare to Amazon and Azure service levels? What about pricing? Is it really that different? And what are some example use cases? Other questions center around applications that support these offerings. If an application supports Amazon, will it be easy for them to support Google? Is there anything about Google cloud storage that makes it easier or harder for service providers to work with them? Title: How Viable is Google ColdLine Cloud Storage?